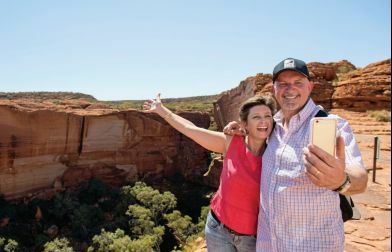 Surprisingly, in the desert landscape of Central Australia, there are a number of spectacular natural waterholes to cool off after a day of exploring and activity. 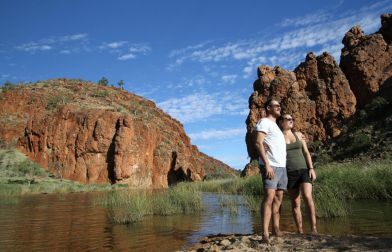 When it comes to swimming go to the West MacDonnell Ranges. 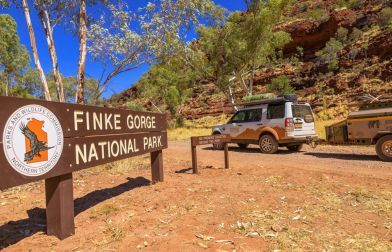 Take a dip at Glen Helen Gorge, Ormiston Gorge or Redbank Gorge. 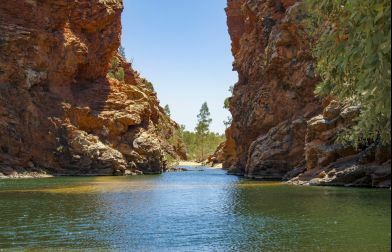 Ellery Creek Big Hole is only an hours drive from Alice Springs and is popular for its deep waters and impressive rocky escarpmenents. 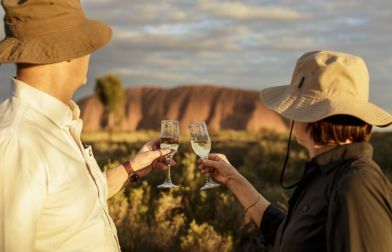 Each offers excellent picnic facilities, picturesque camping and a variety of walking options from challenging full day hikes over rugged terrain to leisurely beach side strolls. 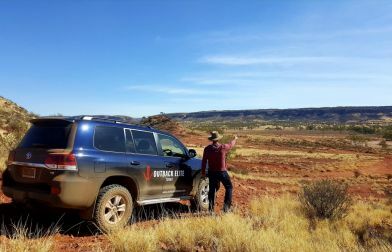 These permanent waterholes hold special significance for the local Arrernte people. 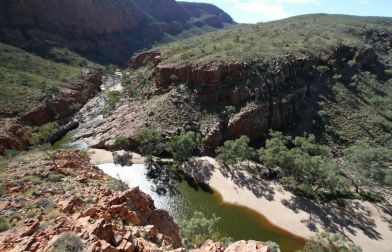 The beautiful pool entrance to Serpentine Gorge is still protected today and does not allow swimming, for its cultural significance and environmental conservation. 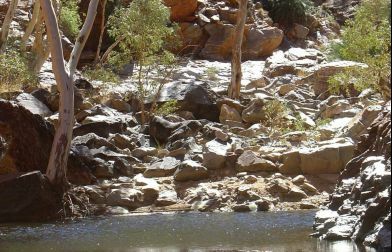 On the 223 kilometre Larapinta Trail, Birthday Waterhole is home to a diverse range of water birds but is only accessible to 4WDs. 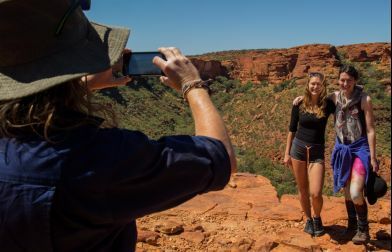 A descent from the Rim Walk at Kings Canyon will lead you to the shaded Garden of Eden, a heavenly, permanent waterhole, surrounded by the magnificent red walls of the canyon. 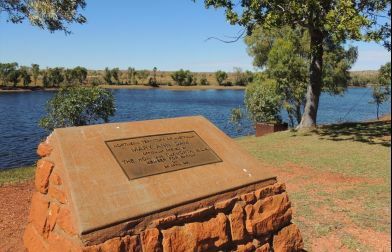 The Garden of Eden Waterhole is home to many rare species of flora and fauna and does not allow for swimming, due to the sensitive nature of this delicate environment. 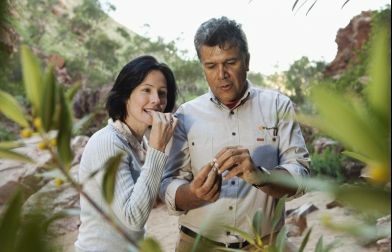 Just a little further down the road and the shady walk at Kathleen Springs will also reward you with a beautiful spring-fed waterhole, home to an array of bird life and fascinating botany. 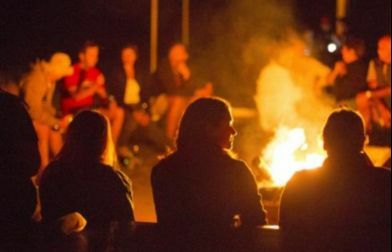 A leader in small group touring who will eclipse your expectations. 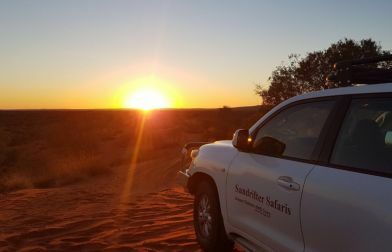 We have your dream journey in Central Australia.